Aimed toward small business owners and entrepreneurs, AWeber makes email marketing quick and easy for those who are busy building their brand. Its simplicity and unique features will save you both time and frustration when creating and reviewing your email marketing campaign. This reputable company has been assisting businesses in expanding their audiences since 1998. AWeber has a few options when creating your email campaign: HTML emails resulting in website traffic and conversions, plain-text emails to get a message across, or RSS-to-email to pull in your latest blog posts and increase readership. Whichever you choose, there are over 700 mobile-friendly templates available, and the drag-and-drop feature makes building emails simple. Although some users have reported difficulties with their initial set up of campaigns, AWeber offers tips from its blog, video tutorials, live coaching sessions and weekly webinars. You shouldn’t have any issues with importing a list of subscribers, as AWeber accepts lists in csv, txt, xls, xlsx, or tsv file formats. You are able to preview your email before sending, however you cannot see how it will look in mobile form. AWeber allows you to tag subscribers, which triggers automated emails based on those subscribers’ actions. Additionally, advanced audience segmentation sends targeted campaigns and makes bulk emails more personal. AWeber reports typical numbers such as opens, clicks and unsubscribes, but also advanced numbers like gained revenue, individual subscribers, and stats by location or marketing area. You can also compare stats from your past 20 emails, and all stats are available via mobile app for those on-the-go. 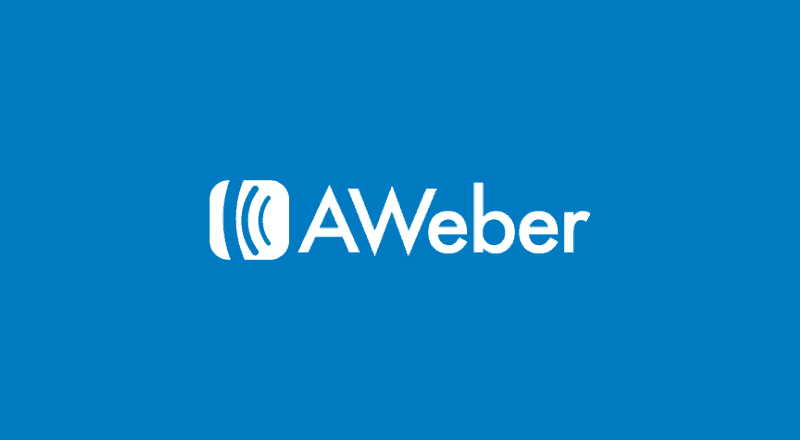 AWeber’s customer service team is available via phone, chat and email. Chat is available 24/7, while phone has limited hours. Emails aren’t always guaranteed an immediate response. Based on AWeber’s website, it seems as though the company prefers live support via phone. As mentioned above, AWeber’s team of professionals also offers live coaching sessions and weekly webinars. One User – AWeber allows only one user per company to access the program. No Instant Results – Users have reported that results are not available instantly after an email campaign is sent. The approximate wait time is one hour. Broken RSS Feed – Users have reported RSS feeds not coming through properly on emails. Trouble Cancelling Service – Users have reported trouble cancelling their service or continuous charges after cancelling. Note that a credit card is required for the 30-day trial.